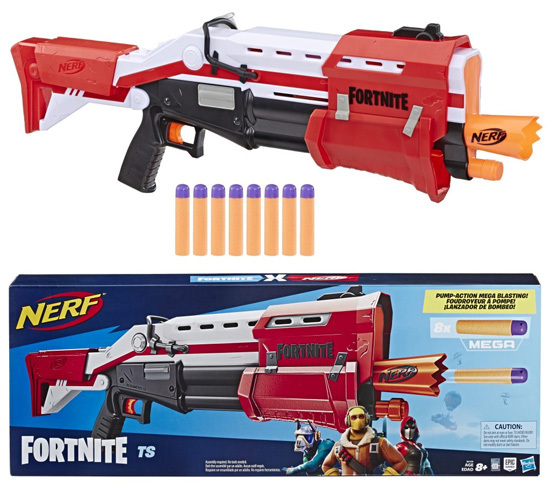 FORTNITE fan rejoices as one your favorite are coming and it will be as NERF MEGA blaster replicating the look and colors from inside the game! This NERF MEGA blaster has the features pump-action blasting action. The clip can load up to 4 darts and pull the trigger to fire a dart. No batteries required as this is pump action. Includes 2 pieces accessores, 8 darts and a instruction sheet.